A few words on the late, great Lawrence Peter Berra, known to one and all, except Yankee manager Casey Stengel, as Yogi. The Old Perfessor always referred to him as “my man” or “Mr. Berra”. It was his show of respect for the team’s catcher and long-time clean-up hitter. While others might mock and deride Berra’s squat stature, homely mug and lack of verbal sophistication, wise Casey knew just how key Berra was to the success of the Yankees in those long-ago years when they seemed to win the World Series every year. From behind the plate, he guided the team’s often far from brilliant pitching staff and was always a danger at the bat. A perennial MVP candidate during the 1950’s, Berra won the award three times. Only the dubious Barry Bonds has more. So I am a little perturbed that so much written about Yogi since he died this month has concentrated on his malapropisms and humourous observations (“You observe a lot by watching”), some of which he may actually have said. People who wouldn’t know an intentional walk from a forced march lapped it up. Inevitable, I suppose, in this day of Google, internet lists, short attention spans and the vast reach of social media, but amid all the renewed merriment, often forgotten was how great a ballplayer Yogi Berra really was. I haven’t forgotten. From my first moment of baseball consciousness, I hated Yogi’s team, the New York Yankees. How could anyone cheer for the Yanks, especially at World Series time, when they regularly took on the Brooklyn Dodgers? The beloved Bums had not only broken baseball’s colour line with Jackie Robinson, Roy Campanella and Don Newcombe, they played in an intimate bandbox of a stadium, festooned by signs for local haberdashers and the like. They didn’t even represent a city. Brooklyn was a borough. Admirable underdogs, all the way. The Yankees, on the other hand, held their home games in soulless, cavernous Yankee Stadium, where no one, not even Mickey Mantle or Babe Ruth managed to hit a baseball clean out of the park, they had greedy, colourless owners, and were one of the last teams in the majors to field a black player in their line-up, eight years after Robinson’s historic season. As someone once said, rooting for the Yankees was like rooting for General Motors. They also had Yogi. There was no Yankee batter I feared more than Yogi Berra. Whenever he came up, I got nervous. Sure, Mantle might hit a homer, but he might just as easily strike out. 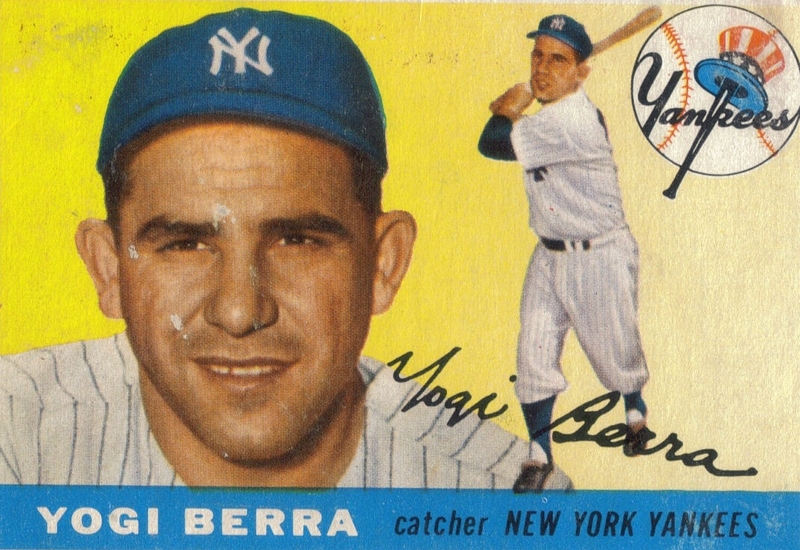 Berra, notorious for swinging at balls so far out of the strike zone they might have been in Poughkeepsie, almost never fanned – just 414 times in 19 seasons. About once every five games. That’s insane for a power hitter. Ted Williams, perhaps the greatest hitter ever, struck out twice as often. But of course, what frightened me more was how often Berra delivered in the clutch. Mantle and Dimaggio, notwithstanding, it was Yogi who led the Yankees in RBI’s for seven straight years. In big games, he seemed nerveless. 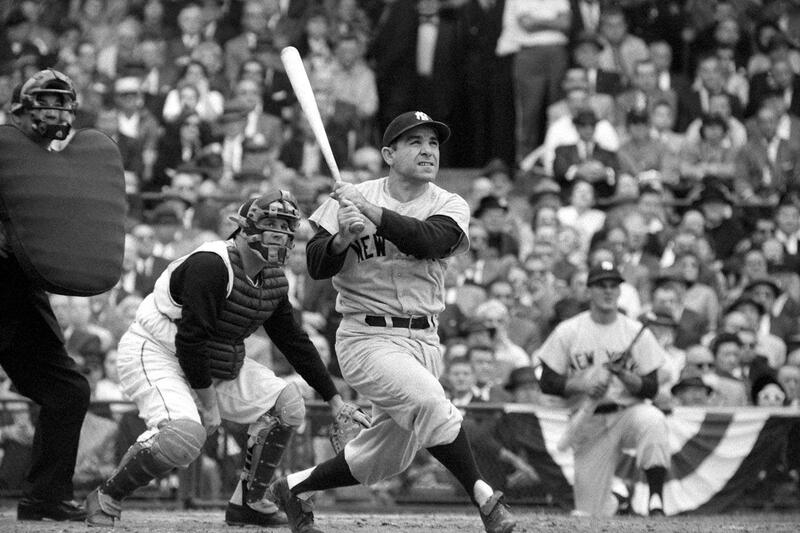 During the Yankee’s last three World Series against the Dodgers, Berra hit .429, .417 and .369. In 1956, the only Series I really remember, he knocked in 10 runs, while socking three round-trippers, including two in the do-or-die seventh game. Ugh., Berra was not some Bob Uecker-like figure of fun. He was one of the best catchers of all time. As much as I couldn’t stand what he did to my favourite teams, it was pretty impossible to dislike Yogi. Grudgingly, and privately, I loved the guy. He was so ordinary, down-to-earth and un-Yankeelike. Although he may have worn the team’s high-class pinstripes, he was more like your friendly neighbourhood plumber. You wouldn’t catch Berra out partying at New York’s notorious Copacabana Club, or entertaining “baseball Mary’s”. He was married heart and soul to Carmen, a union that lasted 65 years. And when Yogi went to war at the age of 19, he was no bystander, posing for photo-ops. He was an active naval gunner, a decorated veteran of the Allies’ D-Day invasion, and a casualty, wounded during an assault on Marseille. Still, I’m glad to recount my most cherished fBerra moment. It came in the bottom of the ninth inning in the seventh game of the 1960 Series against Pittsburgh, with the score tied. 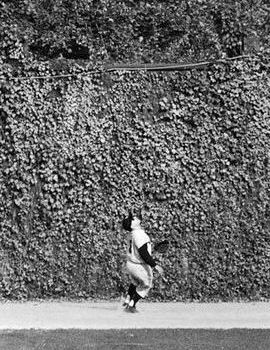 When Bill Mazeroski hit his famous walk-off home run to slay the mighty Yankees, it was Berra, out in left field, who was closest to the ball sailing over the high outfield wall. 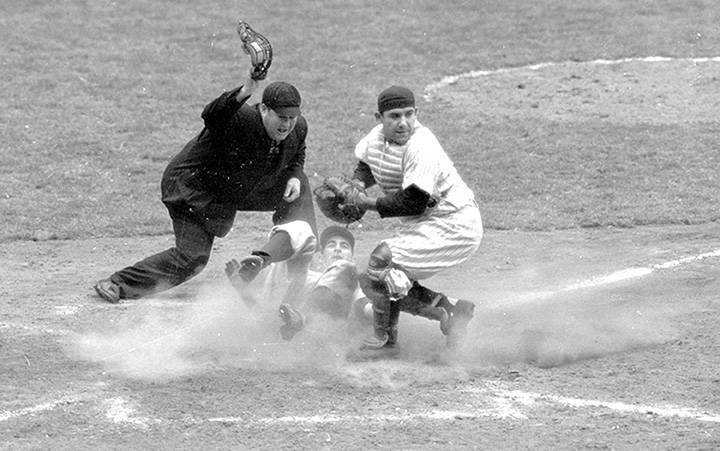 I can hear the announcer now: “Berra’s going back. 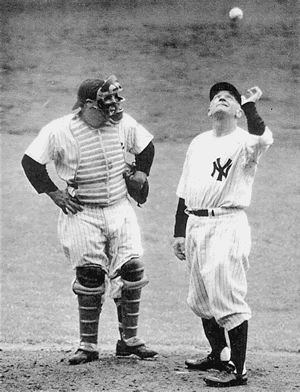 He’s looking up….and its gone!” Sorry, Yogi. As for all those Yogi-isms, I’m so old I can remember when there were only a few of them, lovingly recounted in the Baseball Digest, which I bought every month at the local drugstore. The fact they were in the Digest, before non-baseball fans twigged to how funny Yogi could be and began piling on, makes me think he really did say those things. “I’d like to thank everyone for making this night necessary,” he told fans during Yogi Berra night in St. Louis. “Bill Dickey is learning me his experiences.” The great comment that no one goes to a certain restaurant anymore, because it’s always crowded? If memory serves, Baseball Digest reported that one in the 1960’s, referencing it to an Italian eatery in Minneapolis. So it must be true. “It ain’t over till it’s over” was uttered by Yogi during his time as manager of the New York Mets. And of course, he was right. The Mets came from nowhere to win their division. But my favourite Yogi-ism referred to the lengthening shadows that would gradually creep over the field at Yankee Stadium, as the game went on. At some point, the pitcher’s mound would be in shadow, while the batter’s box was in sunlight, not an easy situation for a hitter. As Berra put it: “It gets late early out there.” Perfect. Few players have given such pleasure to those who know baseball, and to those who don’t. Now, it really is over. Lawrence Peter Berra, RIP. And if you come to a fork in the road on the way to the great baseball diamond in the sky, take it. LABOUR DAY MOVIE VIEWERS OF THE WORLD UNITE….AGAIN!! I had fun doing this a year ago, compiling a list of my top ten films for Labour Day viewing. So, in response to absolutely no demand, here it is again. Please scrutinize the comments, since there are some good proposed additions to the list. I, myself, would definitely add the recent movie Pride, which is now one of my favourite union films. 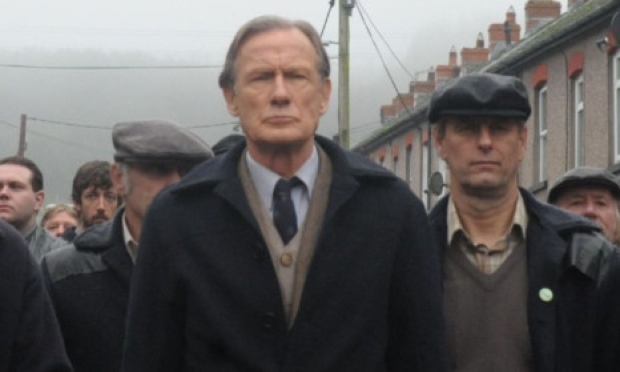 It’s a true story, combining both gay rights and the historic 1983 coal miners’ strike, and is terrific from start to finish. Highly-recommnded. One of the fun things about growing up in Newmarket, Ontario, besides knowing where all your teachers lived for purposes of Hallowe’en, was being able to root for the Toronto Maple Leafs the last time they were a truly great hockey team. Under the hard-nosed but savvy guidance of coach Punch Imlach, the team won three straight Stanley Cups – 1962-1964 – and copped a surprise fourth Cup in 1967, the final year of a six-team NHL. They haven’t come close to winning since. But of course, that was only half a century ago…. Back then, my hockey heroes were anyone who wore the big maple leaf, although a special place in my “love bug” was reserved for Johnny Bower, ageless custodian of the pipes, as the knights of the keyboard liked to call him, and The Entertainer, aka Eddie Shack. And, lest we forget, both also made a contribution to the world of music, Mr. Bower with his classic Honky The Christmas Goose and Mr. Shack, subject of the equally immortal Clear the Track, Here Comes Shack. But I loved all the players, as only kids can, including the guys who didn’t get much ice time. And here I am thinking of good old Alger “Al” Arbour. Although he never came close to making an all-star squad, everyone who followed hockey in those days knew the lanky, durable defenseman. Not only was he a fearless shot blocker, he did so while wearing glasses. Imagine that. Hurling yourself in front of slapshots, face first, with nary a thought of what might happen if the puck shattered your prominent specs. That was Al Arbour, as courageous a player as the NHL ever had. 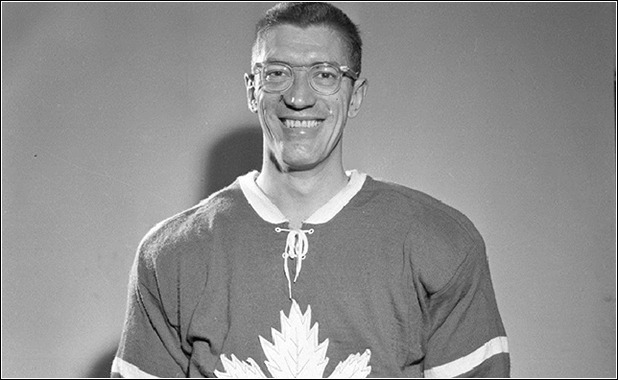 In fact, he was the last guy in the NHL to wear glasses on the ice. No contact lens for him. He really stood out for us kids. 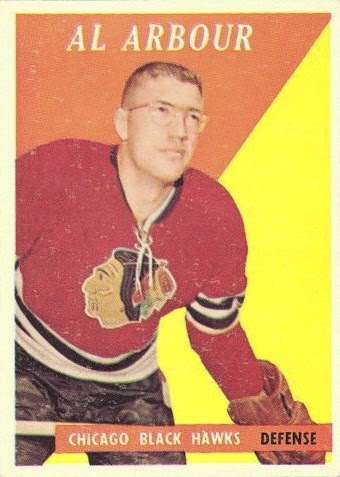 Sure, a Gordie Howe hockey card was treasured, but so was the card of the guy wearing glasses. It just seemed so insane. Alas, for all that, Al Arbour was hardly one of the league’s elite blueliners He was slow, and his shot would barely shatter glass, let alone his own spectacles. In 712 games, he registered a mere 13 goals and 66 assists. Still, you never heard a goalie complain about having Arbour out there, as he dove to stop yet another cannonading drive with his body, before it reached the net. The Leafs were one of Arbour’s four NHL teams. He was there when they won the Stanley Cup in 1962 and 1964. But he had the misfortune of being the fifth defenseman on a team that had two of the best defense pairings in the league: Tim Horton and Allan Stanley, and Carl Brewer and Bobby Baun. The four of them played together for years. It’s not like today, when defensemen are switched around like Parcheesi pieces. On the Leafs, ice-time for Arbour was always a rarity. Yet it was always a thrill when broadcaster Bill Hewitt would announce his presence on the ice. You felt he was an underdog, too, scuffling for his place among the big boys, as was I in Grade Nine. Despite his lack of flash, I don’t remember him ever making a careless play. Al Arbour died last week at the age of 82. The hockey world is already a poorer place.